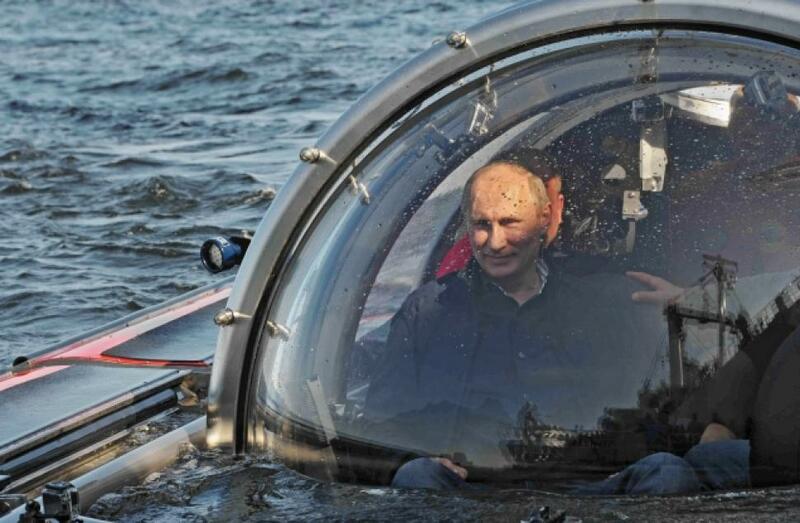 Vladimir Putin was photographed last week diving in a two-man submarine off the Crimean coast to inspect a Byzantine-era shipwreck and some 10th century pottery in a well-rehearsed photo opportunity designed to boost his action man profile. As he was snapped with the disputed waters lapping against the glass membrane around him, his seemingly furrowed brow relayed a hint of concern about how the trip might be received—the last time he was involved with antiquities in Crimean waters, it emerged that his amazing finds from a wet suited dive had been strategically placed beforehand. One might raise a similar amount of eyebrow upon a cursory glance at the strongest club in the area. A few hundred kilometres inland from the discovery site of the Hermitage Museum’s most valuable artefact, the Greek gold from the ancient city of Phanagoria, lies the city of Krasnodar, which holds the unique distinction of being the only city outside Moscow to host two top flight professional football teams: the eponymous FK Krasnodar, and Kuban. The latter, founded in 1928, are named after the historic name for the region of Krasnodar Krai, a title shared by the river that flows from the foot of Europe’s tallest mountain through the city to the Sea of Azov near Temryuk—but the former, FK Krasnodar, have only been in existence for seven years. That short lifespan is enough, on its own, to trouble the linear integrity of one’s forehead—although Ufa are two years younger—but that is only the tip of the iceberg when it comes to information about this most modern of treasures. 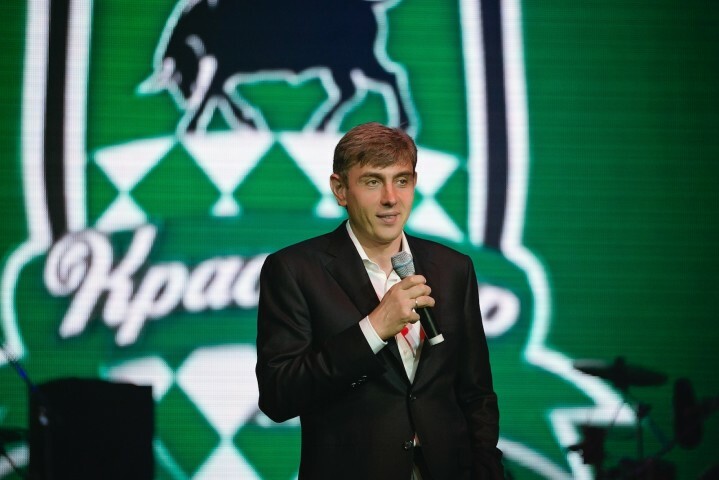 In a narrative that may never be repeated, Krasnodar are the only top flight club to have achieved their status through the league system without ever having earned promotion, thanks to the plague that scourges Russian football today: money. In the 2008 debut season of The Bulls (as FK Krasnodar is often called), Sportakademklub Moscow and FC SKA Rostov-naDonu voluntarily accepted relegation to the third tier, despite having finished high enough to stay up, and in turn, Krasnodar were gifted a free pass to the FNL. Two years later, it was the turn of FC Saturn and FC Moscow to oblige for similar reasons—inability to guarantee being able to financially support themselves at their previous level. There was nothing untoward in this maneuver from the club’s perspective, even if its fortuitous benefit to FK Krasnodar did instill a fair bit of jealousy from other clubs, but in the absence of a lengthy history, money has always been at the heart of the FK Krasnodar story, right from its inception. Sergey Galitskiy is the co-owner and founder of Magnit, Russia’s largest retailer, and as such is worth a reported $8.4 billion, so when he founded the second team in his current home town, it was not hard to understand how success was able to flow to his new project. Instead of ploughing millions into the superficial side of the operation, á la Suleyman Kerimov circa 2011, he immediately set out an impressive network of academies and satellite youth development centres across the entire region. Unlike Makhachkala, no oversized Lambourghini will be seen here. Galitskiy’s character is intriguing, even if his wealth in this uber-capitalist post-soviet space is not. For a start, he has resisted joining the stream of magnates and oligarchs to the nation’s capital, has distanced himself strategically from Putin’s close ring of allies, and has instead forged a close relationship with Sports Minister Vitaliy Mutko. He also is smart enough to pick his battles: when the thorny issue of the three Crimean clubs arose at an Executive Committee meeting, he initially resisted the plan to bring them into the Russian league pyramid for fear of UEFA reprisals against his club but insisted that he was a loyal subject of Russia. He has long campaigned for better behaviour of fans, and, when in town, rewarded fans of Spartak and Zenit who didn’t cause any trouble with free tickets. One one occasion he treated the youngsters at the club’s academy by persuading Brazilian legend Pelé to attend. Fans appreciate his careful attention to basics when running the club, and are now reaping the rewards of their new loyalty by witnessing an incredible surge past almost all their longer established rivals. Were it not for Pontus Wernbloom’s dramatic 88th-minute equaliser on the final day of last season against Rostov, the club’s fans would now be battling through the qualifiers for the Champions League, but as it is, they are already embarking on their second Europa League campaign. Barring a catastrophic meltdown tonight in Helsinki, they will progress to the group stages, and the smart money is on an upgrade in continental competition before long. In the uncertain world of Russian football, one of the few certainties is that the future of FK Krasnodar is fast, bright, and potentially mesmeric. Andrew Flint is a English freelance football writer living in Tyumen, Western Siberia, with his wife and two daughters. He has featured on These Football Times, Russian Football News, Four Four Two and Sovetski Sport, mostly focusing on full-length articles about derbies, youth development and the game in Russia. Due to his love for FC Tyumen, he is particularly interested in lower league Russian football, and is looking to establish himself in time for the 2018 World Cup. Follow Andrew on Twitter @AndrewMijFlint.